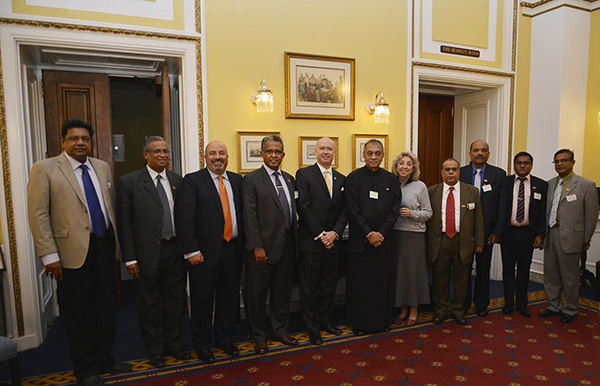 Speaker of the Parliament of Sri Lanka Karu Jayasuriya led a multiparty parliamentary delegation to the U.S. capital from September 25-29. The delegation included Minister of Transport and Civil Aviation Nimal Siripala de Silva, Minister of Women and Child Affairs Chandrani Bandara, State Minister of Irrigation & Water Resources Management Palitha Range Bandara, Members of Parliament Vijitha Herath, Kumara Welgama and M.A. Sumanthiran, and Deputy Secretary General of Parliament Neil Iddawala. 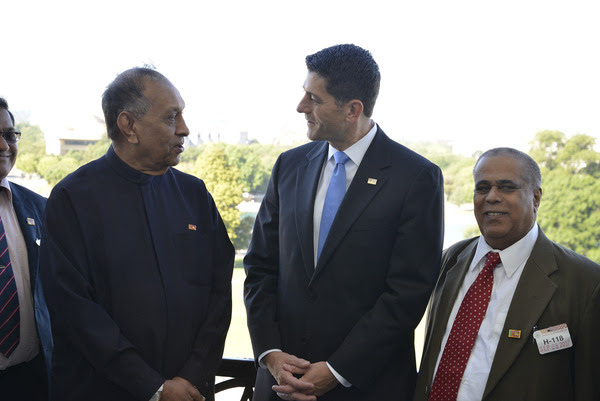 During the visit, Speaker Jayasuriya and the delegation met with the Speaker of the U.S. House of Representatives Paul Ryan at the U.S. Capitol. They also had fruitful discussions with several members of congress from both the republican and democratic parties, including Senator Chris Van Hollen, who was the former democratic co-chair of the House Congressional Caucus on Sri Lanka until his election to the Senate at the beginning of this year. 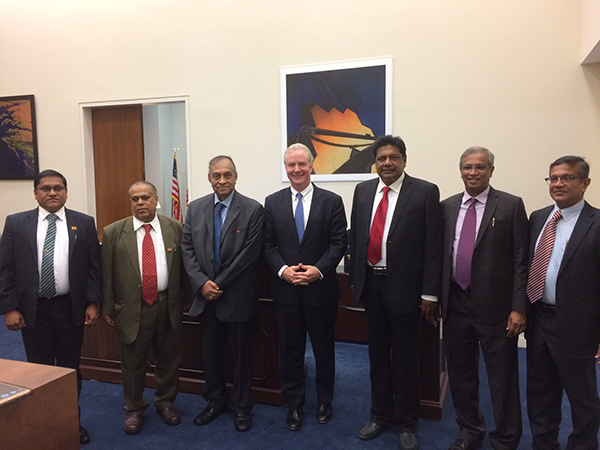 Senator Van Hollen is a longtime friend of Sri Lanka. 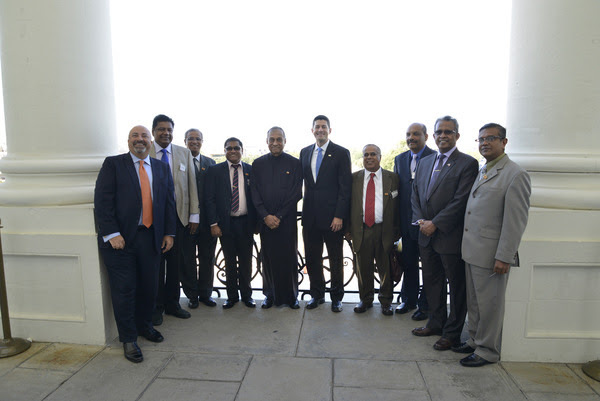 The delegation also met the present co-chairs of the Sri Lanka Caucus, Representatives Robert Aderholt and Dina Titus; Chairman of the House Foreign Affairs Subcommittee on Asia and the Pacific Rep. Ted Yoho; and Ranking Member of the subcommittee Rep. Brad Sherman. Following up on the congressional visit to Sri Lanka by the House Democracy Partnership (HDP) of the U.S. House of Representatives in February, the delegation met with its Chairman Rep. Peter Roskam, Ranking Member Rep. David Price, and HDP members Rep. Gerald Connolly and Rep. Gwen Moore. During the previous visit of Speaker Jayasuriya to Washington D.C. a year ago the Sri Lanka Parliament and the HDP signed a collaboration agreement to strengthen partnership between the two legislatures. 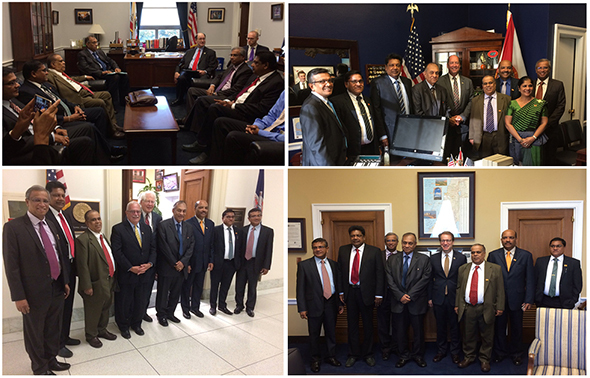 The delegation briefed the members of congress on developments in Sri Lanka, particularly in relation to constitutional reforms. The Parliament of Sri Lanka is marking 70 years of parliamentary democracy this year. They emphasized on the value of strengthening cooperation between the Sri Lanka Parliament and the U.S. Congress to underpin the expanding bilateral partnership. 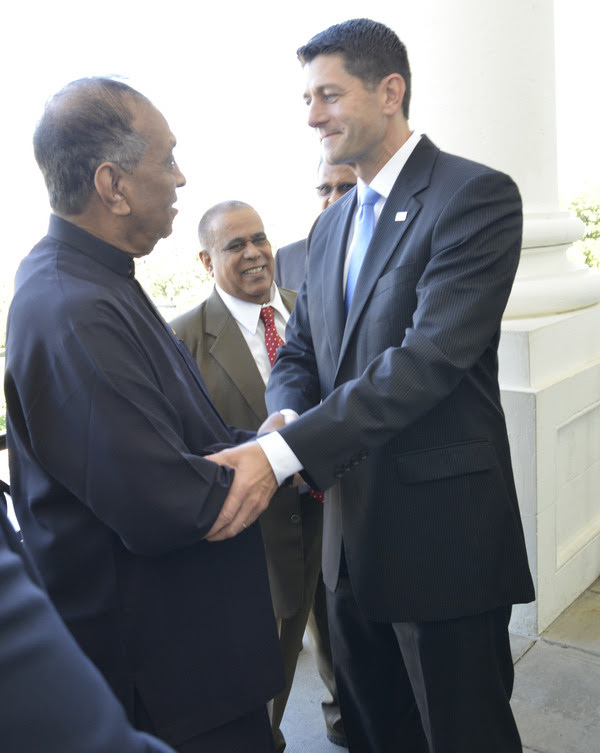 The Speaker invited the members of congress to visit Sri Lanka and see first hand the developments on the ground. The members of congress commended the progress made by the Sri Lankan government since 2015 in advancing political and economic reforms, taking concrete measures to advance human rights, good governance and reconciliation. They acknowledged the importance of enhancing and expanding the U.S. – Sri Lanka partnership in diverse spheres, including at the legislative level, and assured the support of the U.S. Congress towards this end. The visit to Washington D.C. took place as part of the USAID-sponsored programme – Strengthening Democratic Governance and Accountability Project in Sri Lanka (SDGAP). SDGAP is a three-year programme with the Sri Lankan Parliament to strengthen public accountability systems; improve planning, communication, policy reform, and implementation; and increase the participation of women in politics. The visit to the U.S. Congress allowed the parliamentary delegation to experience firsthand the workings of the U.S. system.